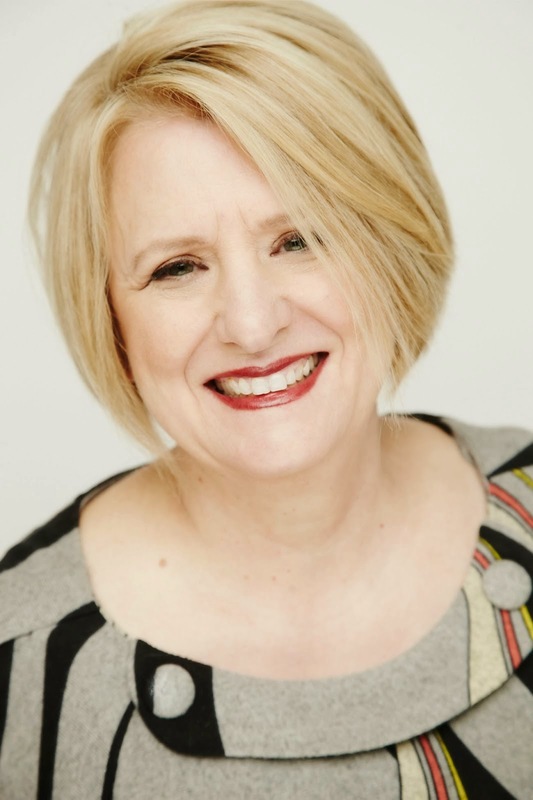 Here we go... Project Run and Play's Season 10 Sewing Challenge! 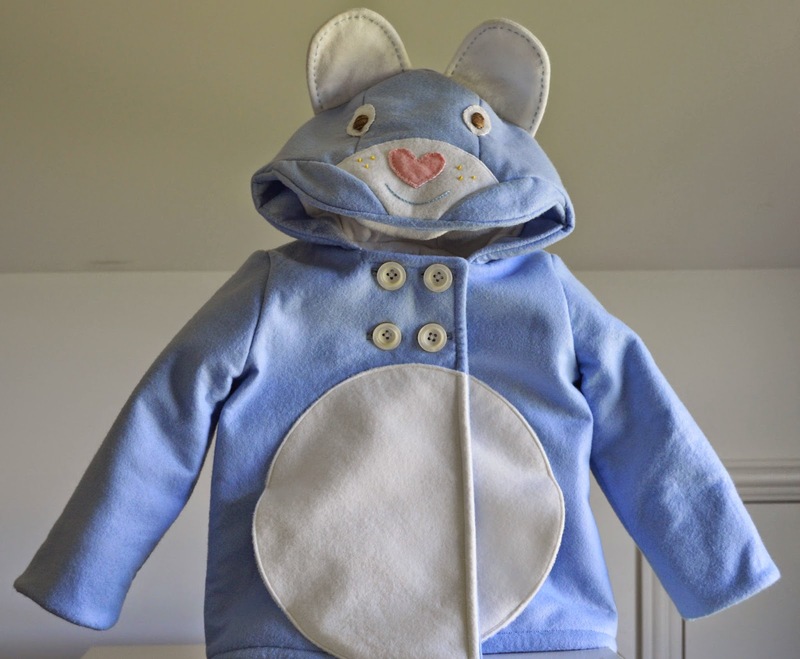 You'll find my Care Bear Jacket entry in the Sew Along Group. 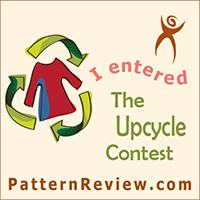 It is so much fun sharing my ideas and reading about other garments created for each challenge. The first challenge is 80's Cartoon Inspired. 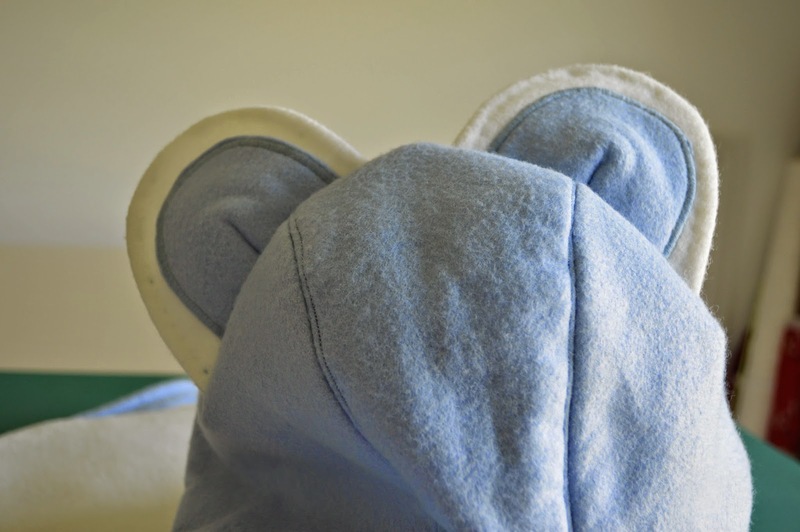 I love the soft colors, cuddly fabrics, and positive vibe of the Care Bears. They were always willing to help each other and solved problems together. 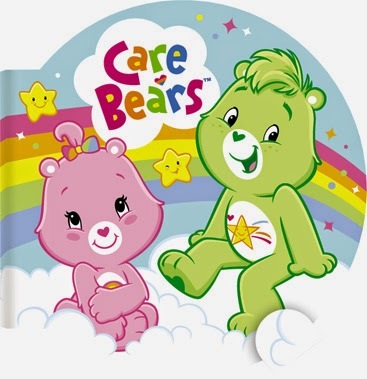 As a child, my 6' 5" son-in-law collected all the Care Bears that are shown in the picture above. 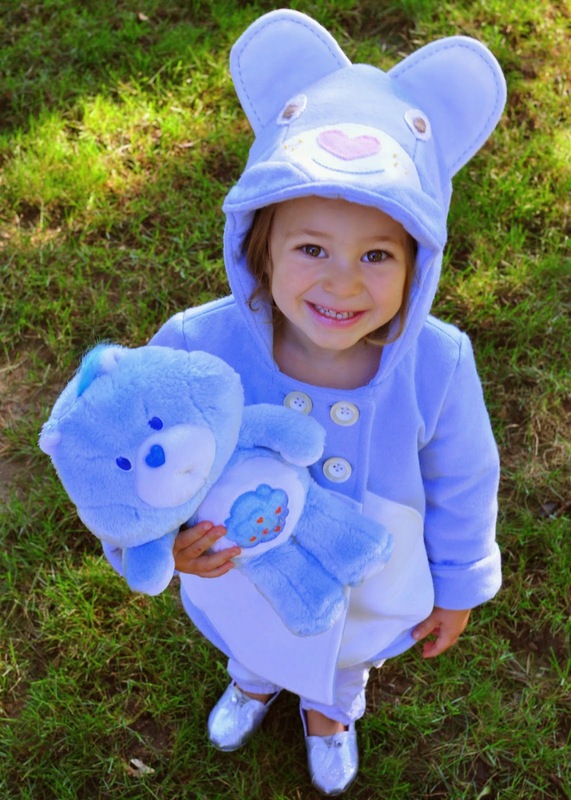 "I Love My Daddy" Care Bear. These are the fabrics used to make the jacket. Notice that I used WOOL felt. While constructing this jacket, you need to use the highest steam heat setting on your iron. Since you don't want to compress the felt, or have it melt, be sure to use wool felt. Wool felt can be dry cleaned too. Lastly, the combination of wool felt, fleece, and minky lining will provide the warmth needed for cold Minnesota winters. This is the pattern that I started with. I drafted a different coat front that was double breasted. The pattern pieces I drafted to change the pattern. Though the pattern instructions don't mention it, you must reduce the amount of thickness in every seam allowance anytime you can. I basted each fleece fabric piece to the felt at 4/8 inch and trimmed the excess fleece away to reduce the thickness. 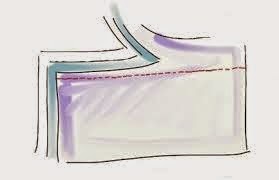 I graded the felt seam allowances also. The Care Bear were my inspiration, but I didn't want it to look like a costume. 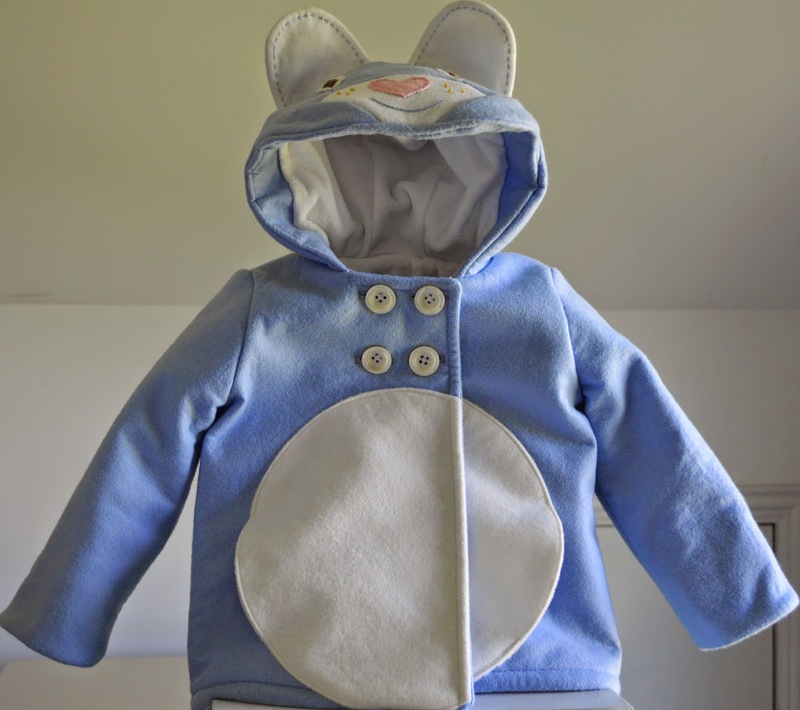 So I used the characteristics of the Care Bear cartoon characters that I liked..pastel colors, cuddly fabrics, and positive vibes while designing this jacket. The scariest part of sewing this jacket was making the buttonholes. I actually practiced making 10 buttonholes before I was ready to sew them on the jacket. After all the work that went into making this jacket, I DID NOT want to screw up the buttonholes!! Thank goodness they turned out fine, but I have to share the fact that my heart was pounding while I was sewing them. Two of them were a bit close together, so I used my husband's box cutter with the razor blade in it to cut the fabric. This is so cute and you did a great job with the details. I bet she loves that lining! My favorite detail is the belly pocket. 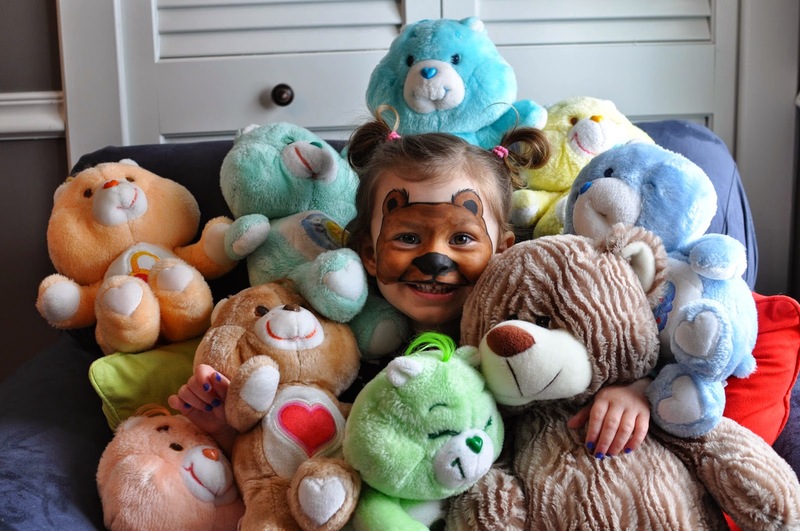 I had to ship it to her, but she said that it was going to be fun to be a bear. Snuggle, warm looking & oh so cute! I feel exactly the same way about buttonholes! This coat looks so warm and cozy--I LOVE the circular belly pockets! 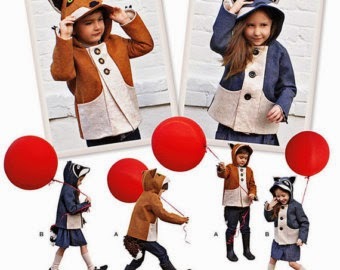 I would ooh and ahh if I saw a little girl wearing this coat in the winter--so cute. I don't know what it is about buttonholes... but I actually find myself designing the outfit without buttonholes if I can. Such a darling jacket! Great job on matching up that belly pocket. Very impressive! This is simply the cutest jacket ever! My niece and nephew grew up in the 80's and loved the Care Bears. They would have adored a jacket like this! You did a fabulous job! The belly in the center of the coat is too cute. Great job redrafting! Oh, my! This coat is adorable, Deborah! You did a fabulous job on it! I sort of want a minky-lined coat for myself. And, for the record, stitching buttonholes once I've sewn up a project always terrifies me! After putting so much work into something, messing up the buttonholes would be disastrous! Practicing first is always a good idea.